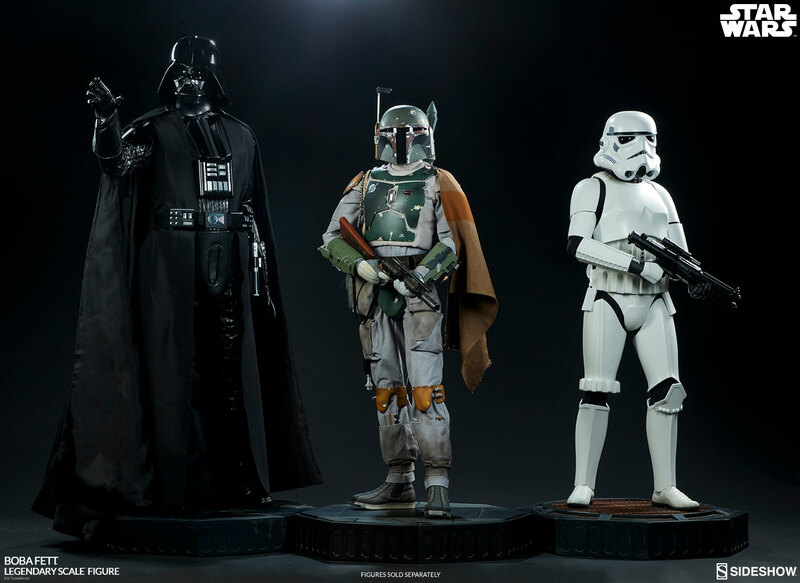 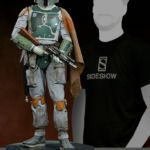 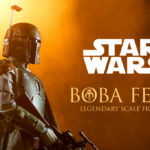 Official images and info has been released for Sideshow‘s new Star Wars: The Empire Strikes Back – Boba Fett Legendary Scale Figure. 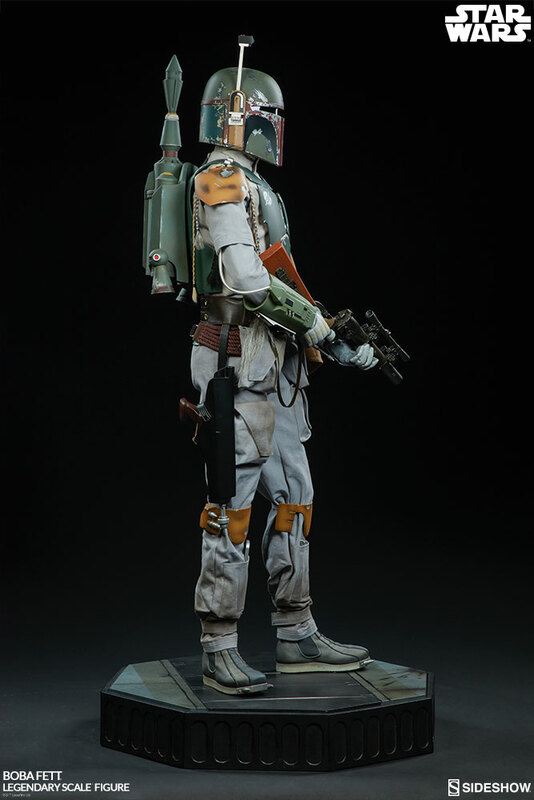 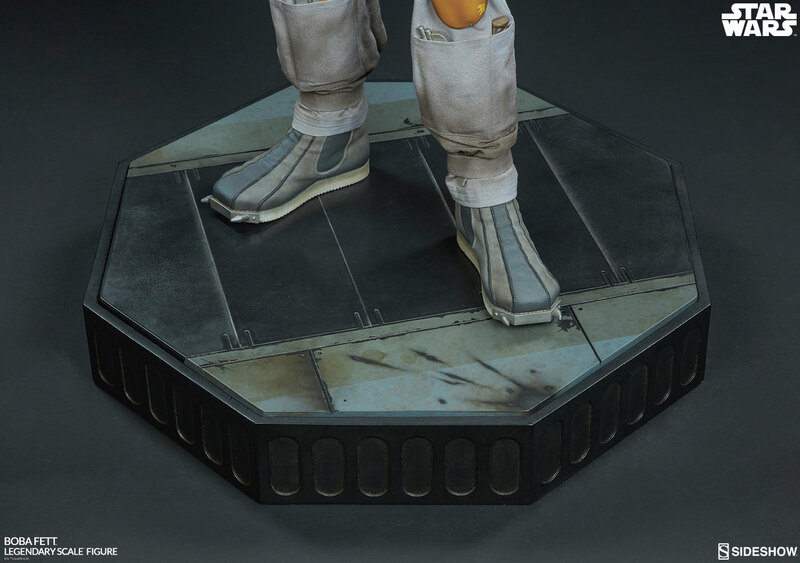 This roughly 1/2 scale statue stands over 41″ tall and features a Bespin themed base. 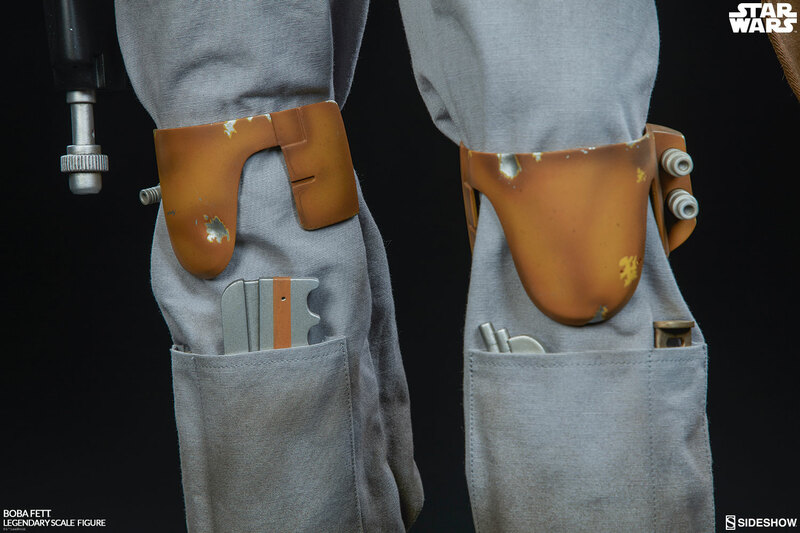 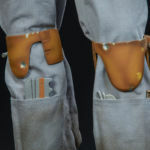 It features a mix of sculpture and custom tailored fabric. 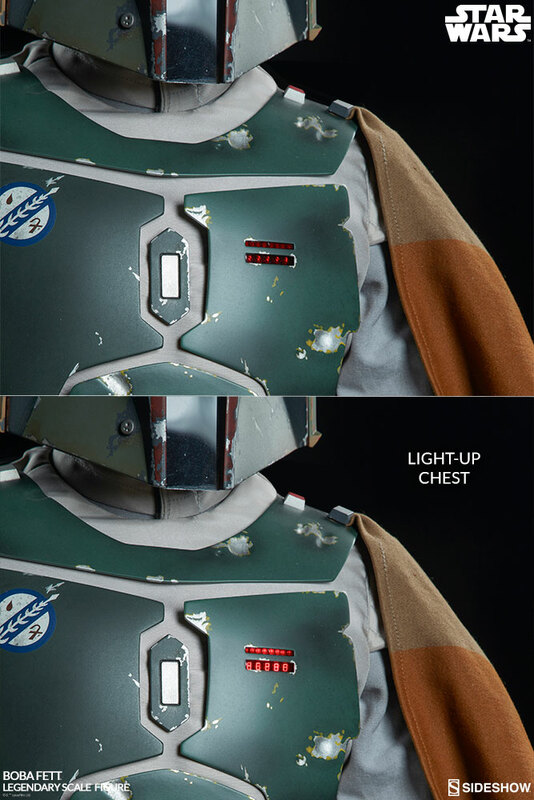 There’s a light up feature on Boba Fett’s chest as well. 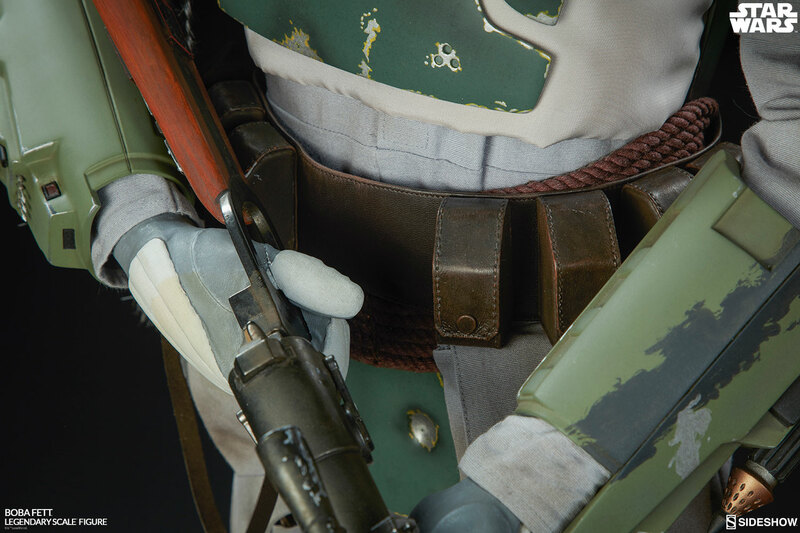 Pre-orders begin on Thursday, June 28th some time between Noon and 3:00 PM Pacific Time. 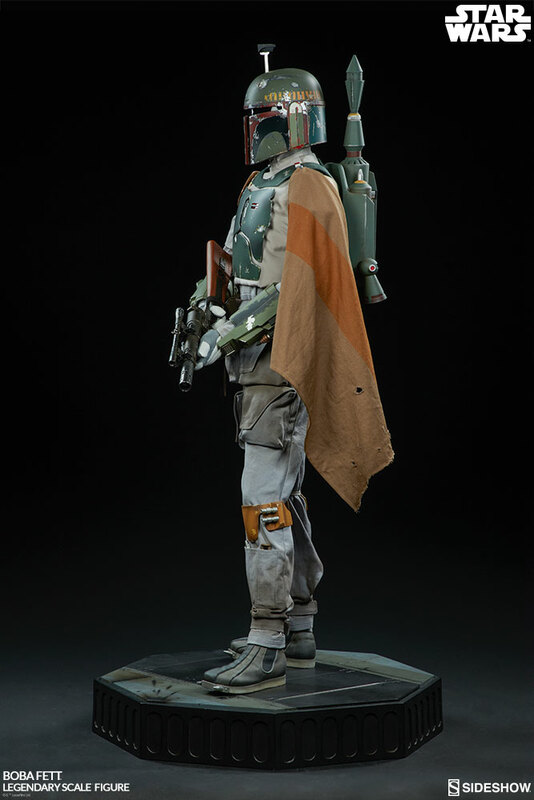 The statue is priced at $2,650. 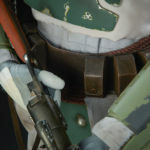 Click the headline of the story for all of the new photos. 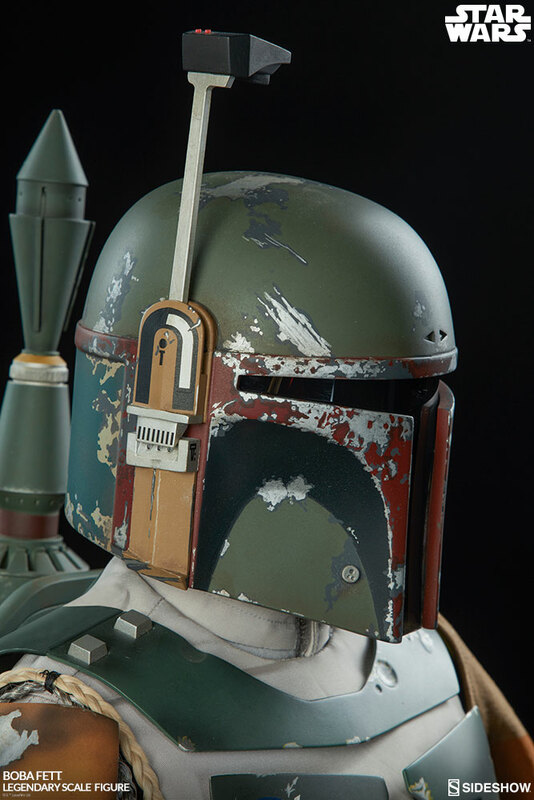 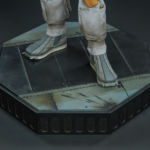 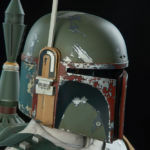 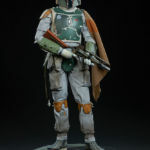 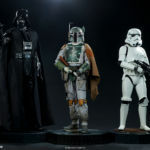 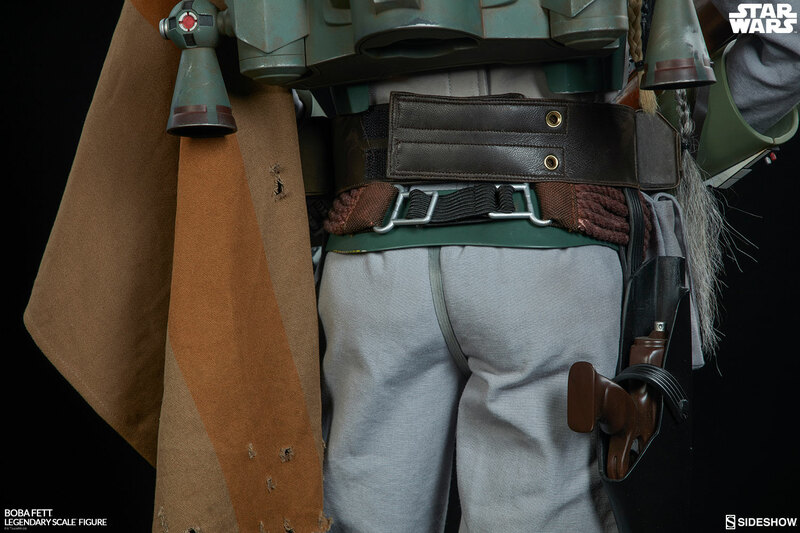 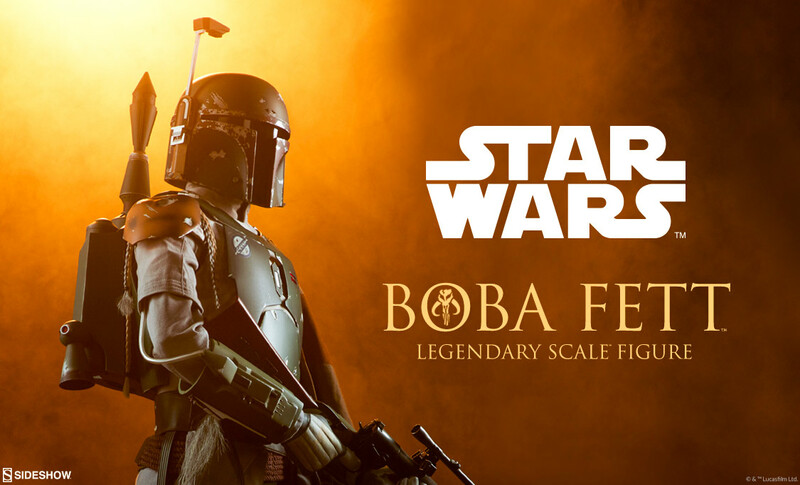 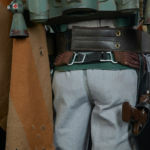 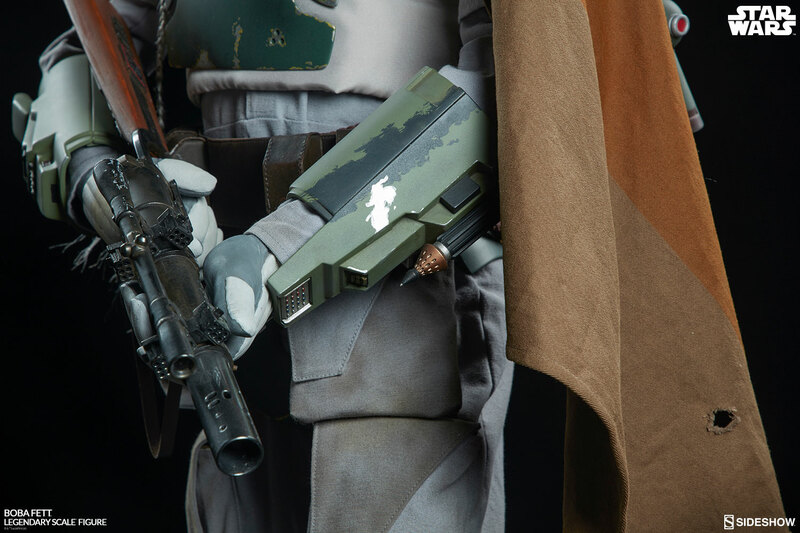 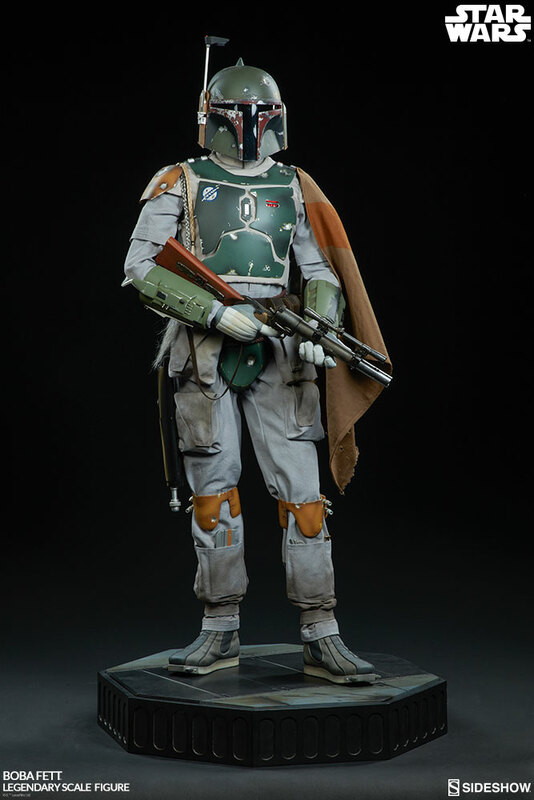 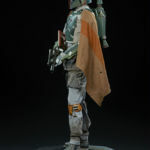 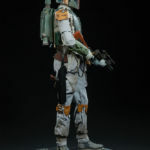 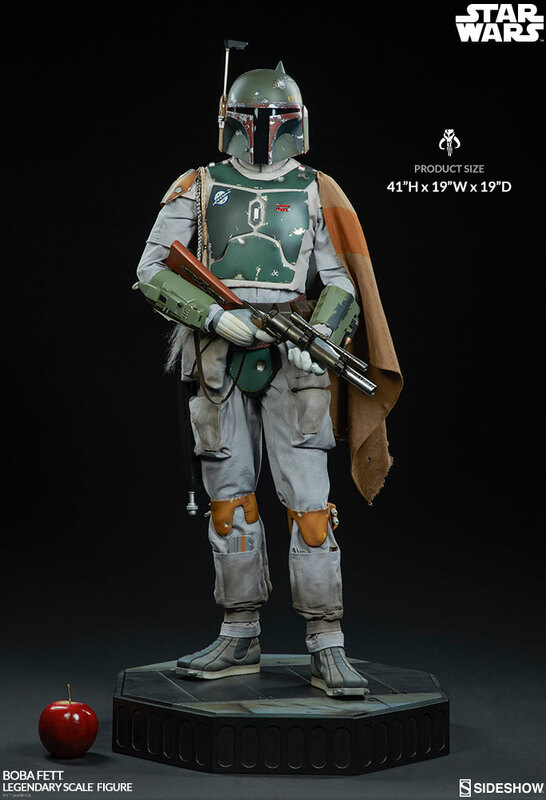 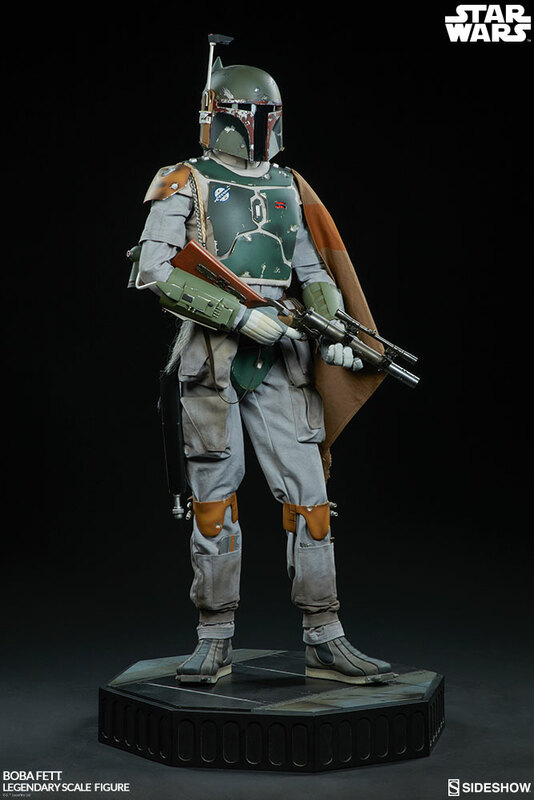 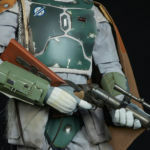 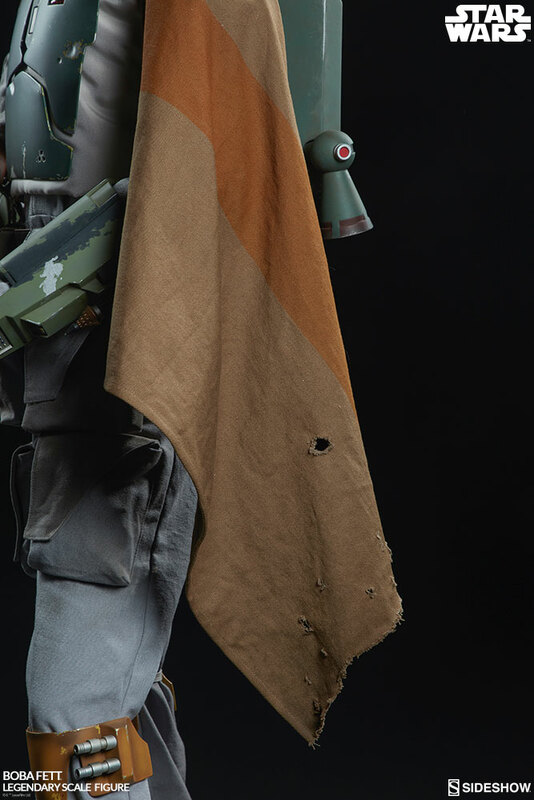 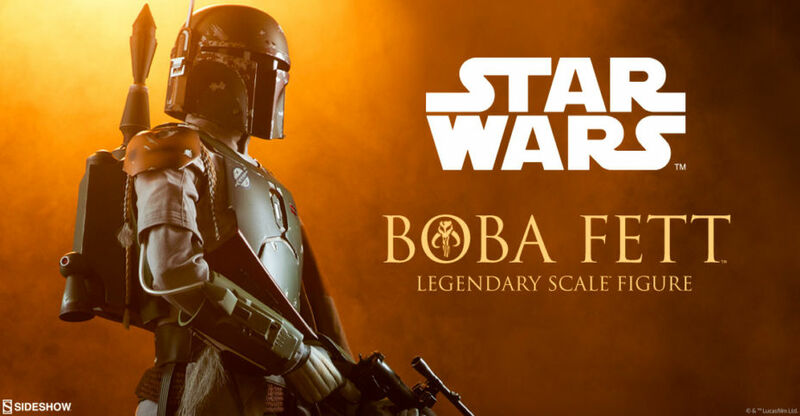 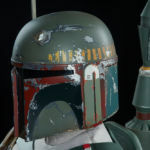 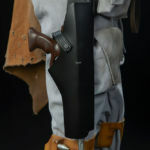 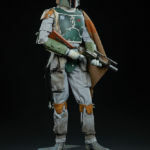 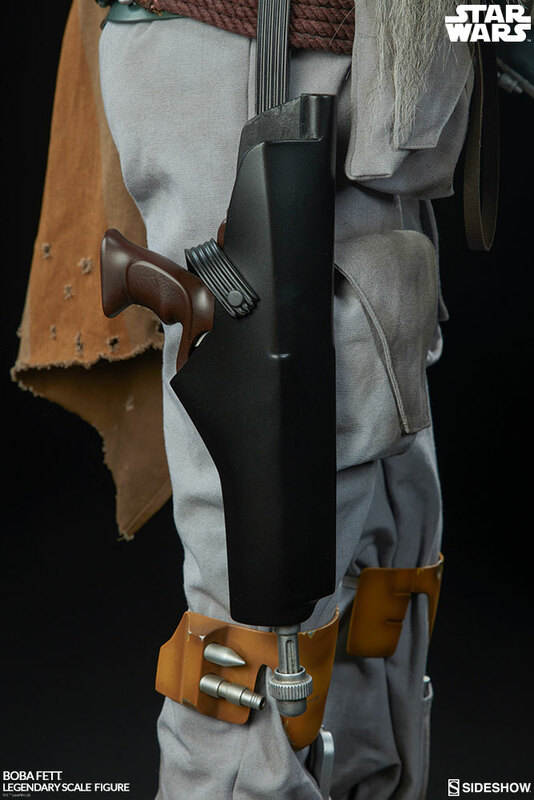 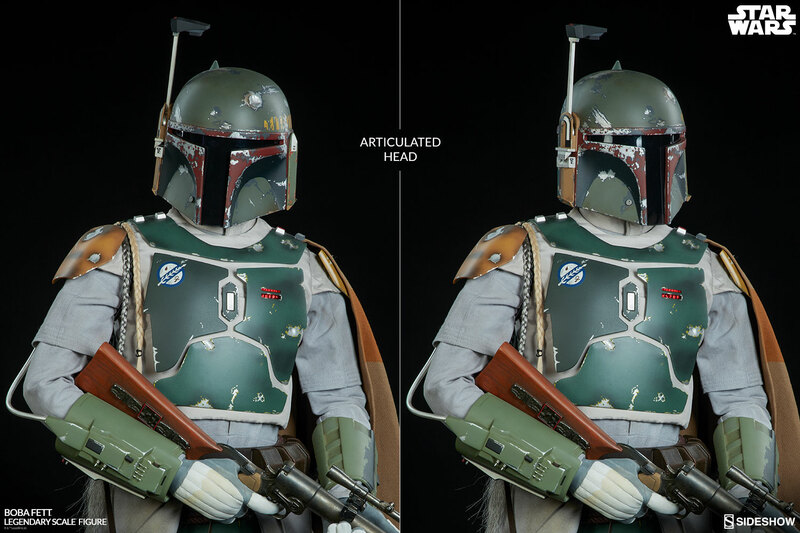 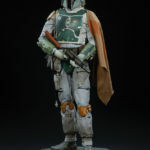 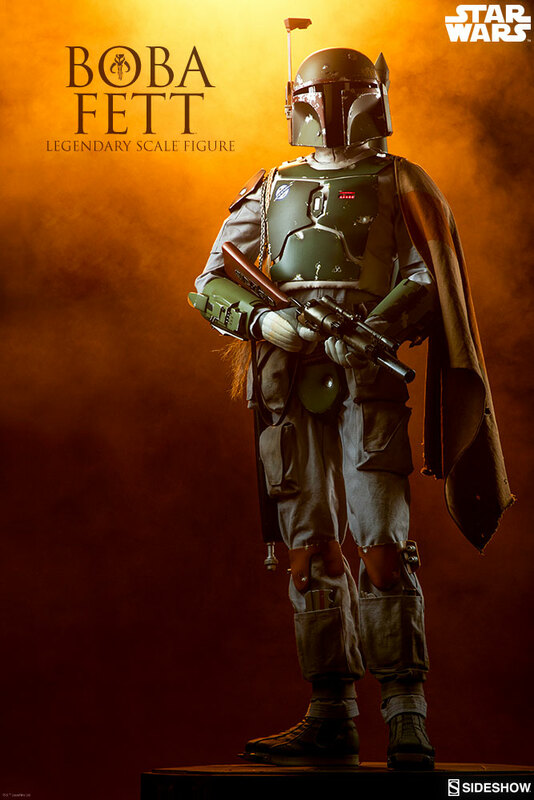 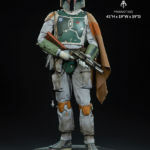 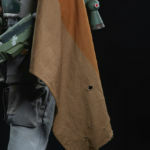 The Boba Fett Legendary Scale™ Figure mixes highly-detailed sculpture with custom tailored fabric elements to recreate his iconic, battle-worn Mandalorian amor with incredible accuracy. 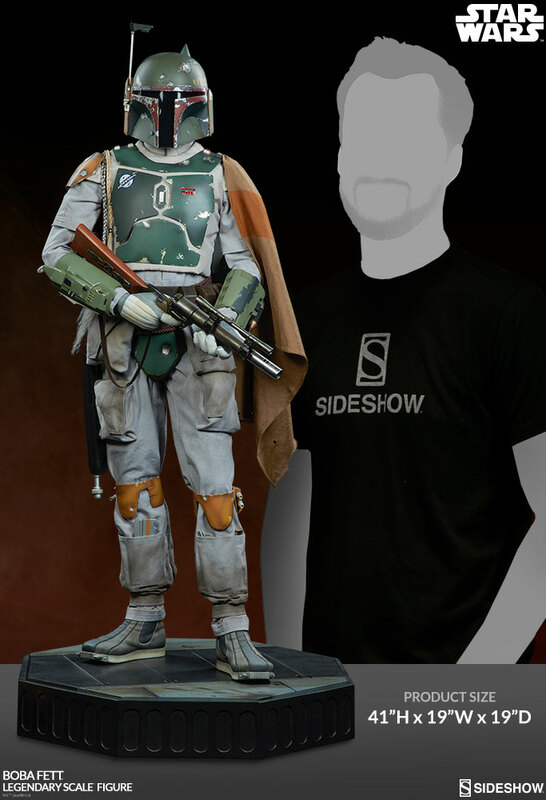 The figure includes synthetic hair Wookiee scalps draped over his shoulder as trophies of his professional reputation. 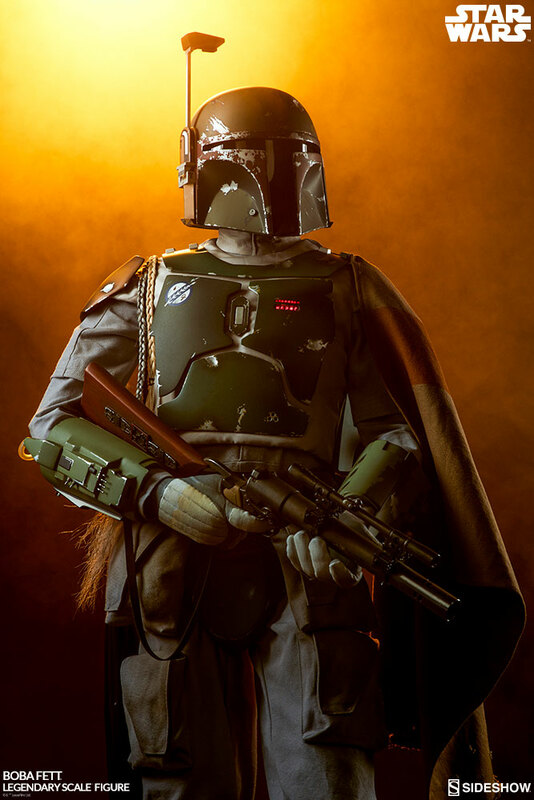 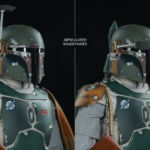 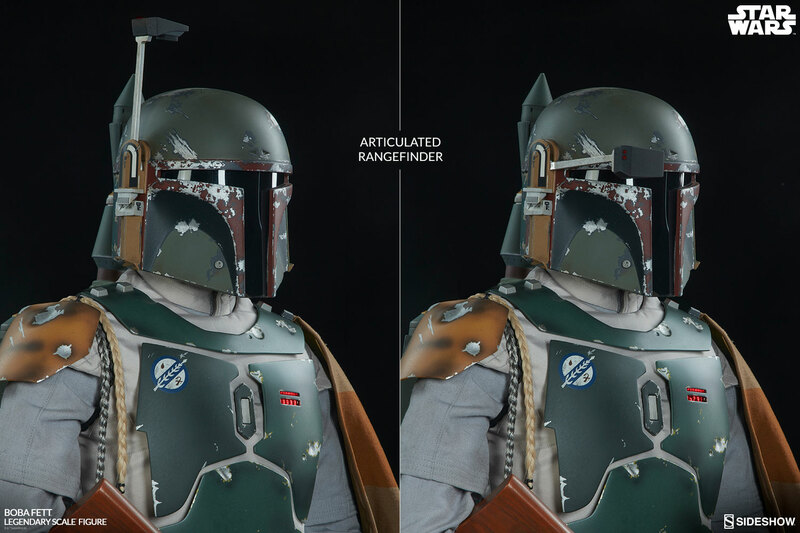 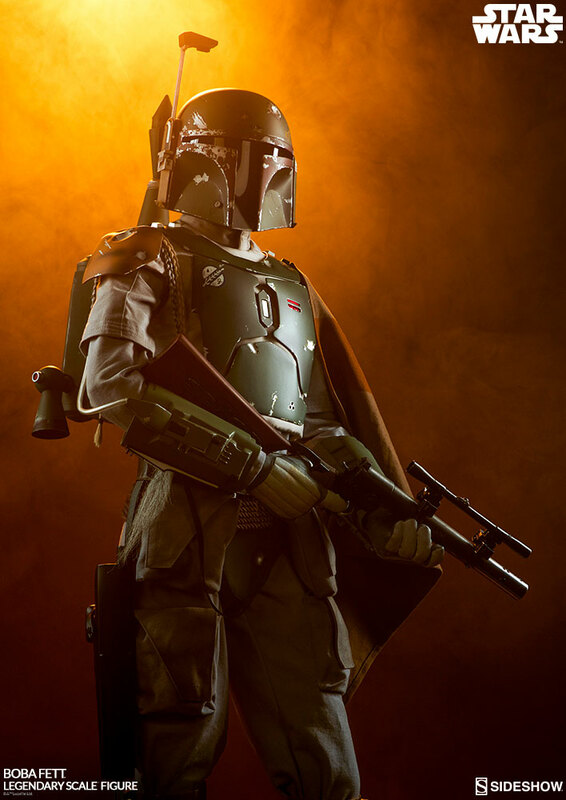 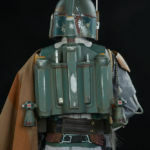 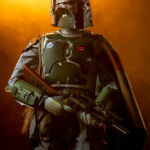 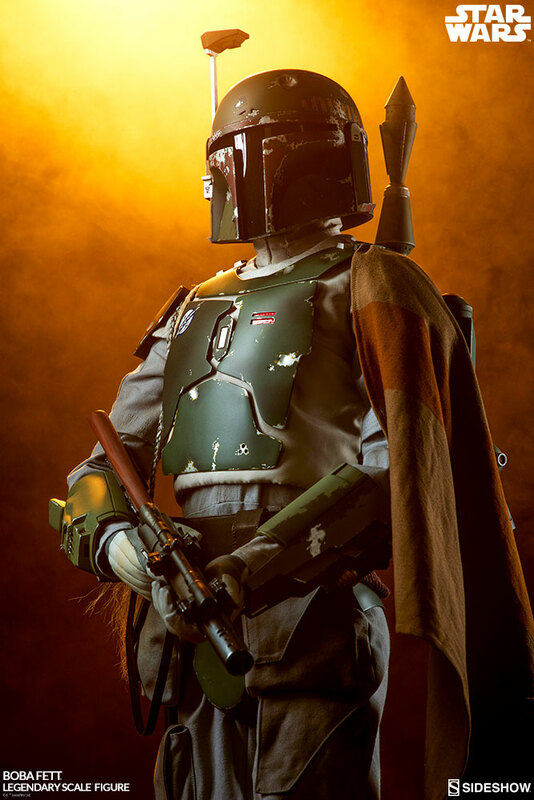 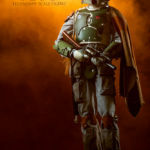 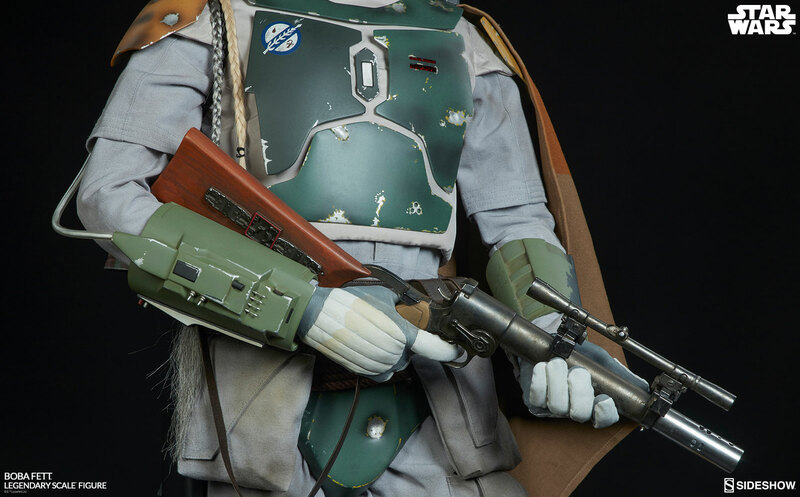 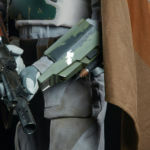 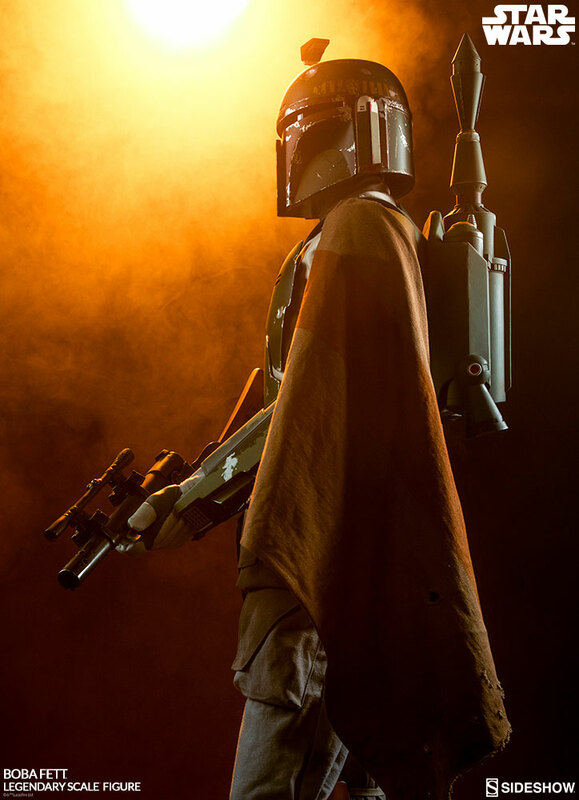 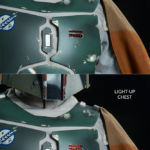 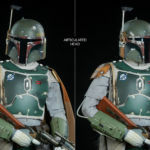 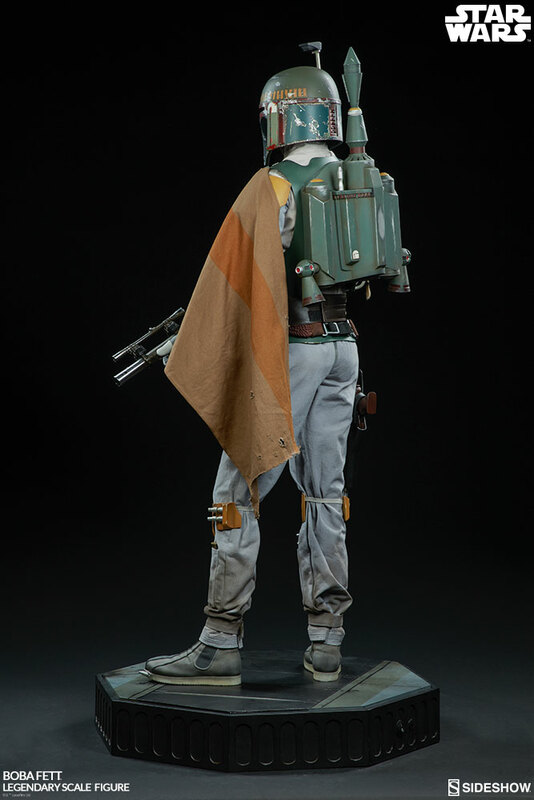 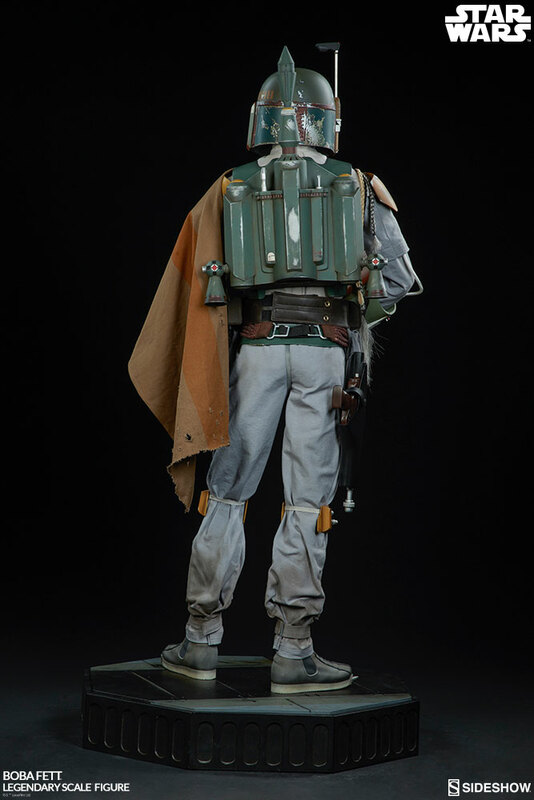 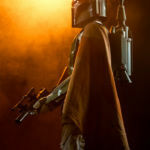 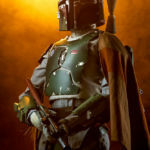 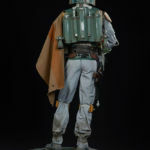 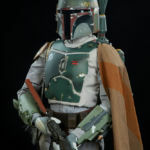 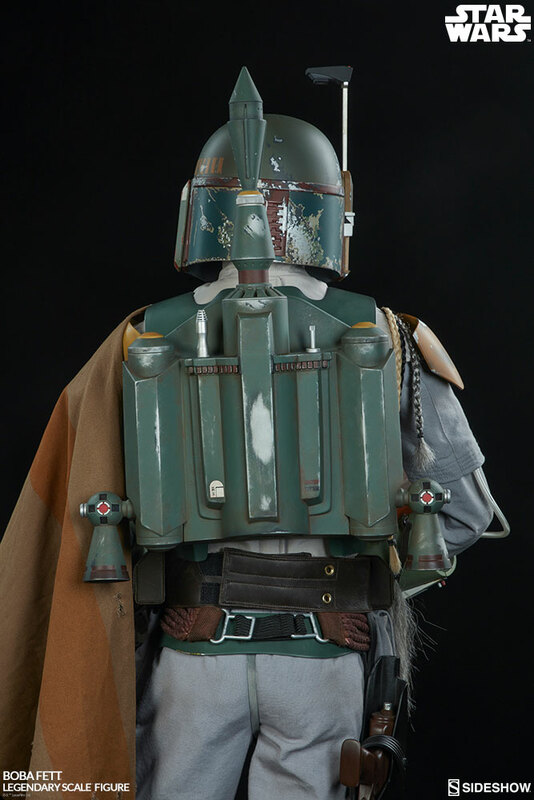 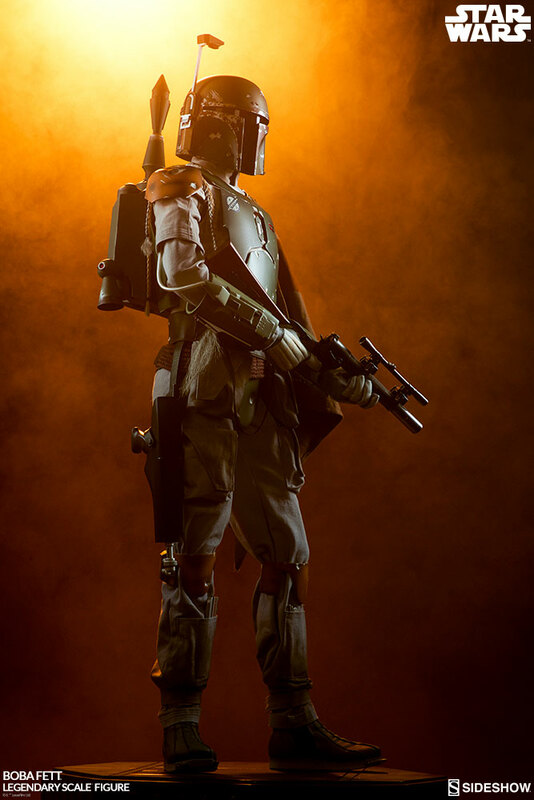 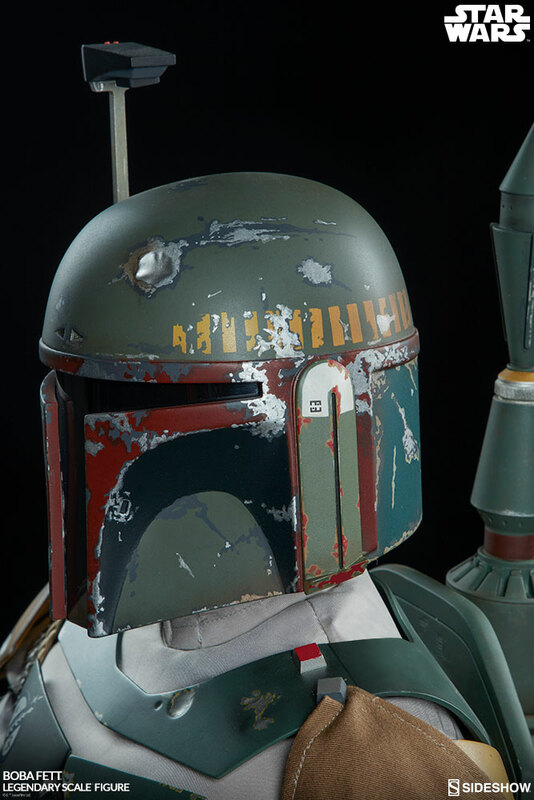 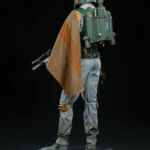 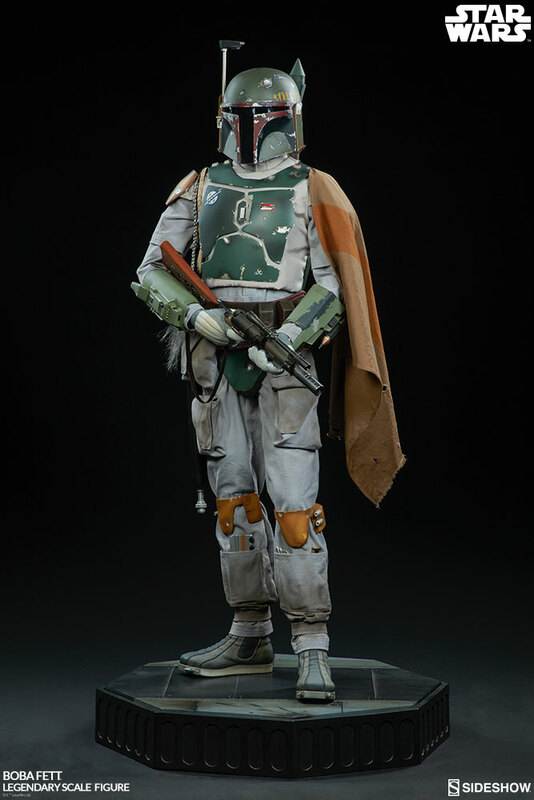 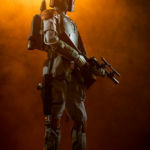 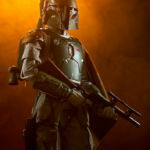 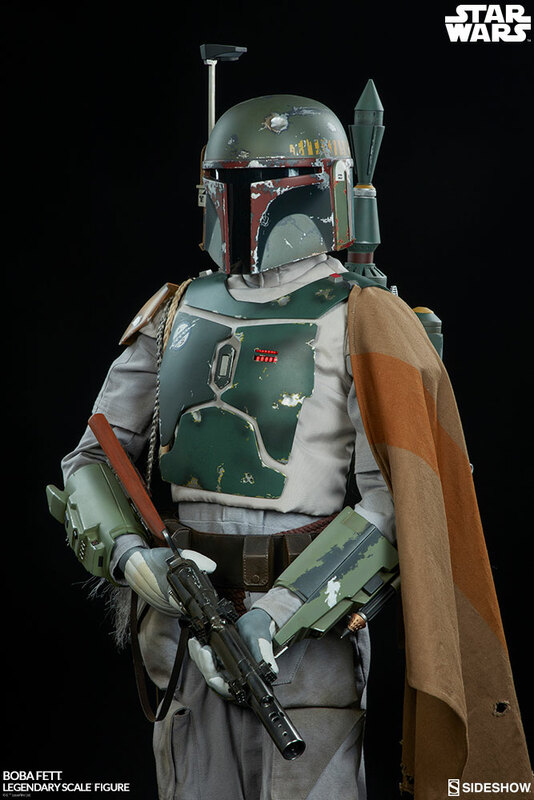 Boba Fett is crafted out of fiberglass, ABS, and cloth elements, and includes a light-up feature on the bounty hunter’s chest plate for an additional display option.